With the glamorous Oscars spilling out this year’s film awards, we have a few commendations of our own. Not on the film front, but on top stag destinations for all you well-travelled stag dos out there. Who knew that you were so adventurous, using your last days of freedom to explore pastures new around the UK. If you traditionally think that stag nights are either a choice of a full on weekend in Europe or a stagger around your local clubs and bars, have a look at where stags have really been going, with our survey taken between autumn 2010 – the same period in 2011. Despite a fantastic destination in Dublin, the Irish like to hop across the sea to sample Scotland’s capital Edinburgh or party in Bristol in the South-West, to be sure. Conversely the Scots are a little more patriotic and also love Edinburgh, but their second most popular stag do choice is rugged North Wales. They just can’t get enough of those hills can they? 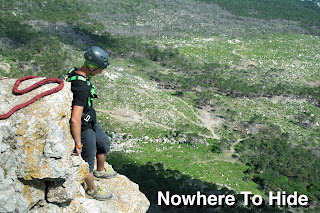 With literally thousands of stag weekend ideas floating around the website you might find yourself in a bit of a pickle of what to do ands where to go. Luckily, you are reading this blog which will help point you in the right direction. First of all where to go? If you are looking for crazy nights and lazy days then somewhere with a beach is a great idea. Stag destinations such as Newquay, Bournemouth, Benidorm, Barcelona all tick the right boxes, it just depends if you are looking for guaranteed sunshine. If you have the need for speed, then motorised stag activities should be on your to do list which include Rage Buggies, Indoor and Outdoor Karts, Car Rallying and Mini Racing. If you want to shoot at each other or the stag try Paintball or Lazer Tag, or if you prefer a target to aim at then have a go at Clay Pigeon Shooting, AK 47 shooting (most Eastern Block countries) or take aim with a hand gun. If you feel like the groom is unsure on a top stag destination I have a location that will keep everyone in your group happy, have your stag weekend in Bournemouth. If the 7 miles of glorious golden sandy beach doesn't do it for you, then the nightlife will. 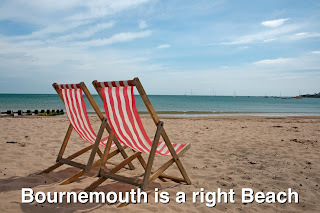 When the Sun features a beach scene with the infamous 80°F header it is always Bournemouth's sandy beach. When the UK has a heat wave, where does the reporters from Daybreak or the BBC Breakfast News flock to, that's right people, Bournemouth. 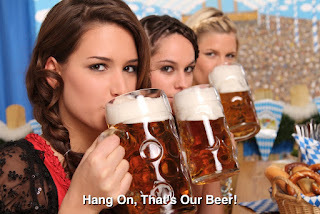 But hey, that is not the only reason why you should pack your bags and send your stag party to Bournemouth, what about stag activity ideas, does Bournemouth offer any? Has pinocchio got wooden balls? You can race rage buggies, shoot proper clays, race old style Minis with role cages, shoot paintballs or hack through woods and fields at speed on quad bikes. Thanks for the memories Whilst on your stag do, you will need to capture all those great memorable moments on either video or with clear vivid images. So, get your hands on a waterproof HD camera there are loads about. The Kodak PlaySport is a good one, it's cheap and extremely handy for you to film your stag group taking part in white water rafting, Coasteering or Canyoning as it’s waterproof up to 3 metres and is homed in a rugged case so it can take a few bumps and tumbles. Alternatively you can conceal your smart phone in a waterproof case and record your brilliant stag do moments however, don’t buy a cheap one or you may kiss goodbye to your Smart phone! There are also loads of DSLR’s on the market which are also getting smaller and smarter, with fantastic quality images and if you bundle it with a zoom lens you can pap your mates in Rage Buggies bricking themselves on the other side of the course without having to move an inch. Organising The Mother The best place to start is by getting in contact with a professional stag do organiser such as DesignaVenture. They will have the contacts, get you into the best clubs and fix you up with good quality, stag friendly accommodation. Communication = Success Once you have the dates and stag weekend sorted, you then need to get the word out and these days with so many free platforms at your finger tips you'd be a fool not to use them. Create a Facebook page advertising the stag weekend, twitter the details, use your smart phone and email everyone the itinerary, create a Paypal account for people to drop money into. If you want to keep it a secret you can do all this hidden behind a username and password, away from prying eyes. Use file sharing websites such as wetransfer.com or DropBox. Here you can store all the stag do arrangements and information files which then, can be easily accessed by only your stag group, providing they have the user name and password.